There many incredible things about Waterworld: how much it cost; the scale of its sets; its brilliant score; how closely it resembles a wet Mad Max; its pointed ecological message. But perhaps the most incredible thing from a 2019 perspective is that, in the early 1990s, Kevin Costner was a big enough movie star to get the film made. It is very clear in the special features of Arrow’s new Blu-Ray release that Universal knew from the outset that Waterworld was going to be a difficult, costly production. This was, after all, the studio who had made Jaws. Yet Costner was considered worth it. It was his participation that got the film into production, and it is an ideal showcase for his peculiar qualities: stubborn, prickly and quaintly sincere. The premise is that some time in the future, the polar ice-caps have melted, covering the world in water (this couldn’t really happen). For generations, the humans who survive have lived on boats and floating structures, to the point that all memory of life before the great melt is lost. And yet rumours of dry land persist. Costner plays a loner known as The Mariner. He’s the owner of a large, gadget-filled trimaran and we first meet him drinking his own wee. Yes, he has a machine to purify it, but it’s still a perfect Costner introduction. This is a man (or is he?) who does not care what you or anyone else thinks. A shortage of supplies takes him to a man-made atoll where he encounters a woman (Helen, played by Jeanne Tripplehorn) and girl (Enola, Tina Majorino) with a secret: orphan Enola has a mysterious tattoo on her back that Helen believes is a coded map to dry land. Unfortunately, their secret gets out, drawing the attention of The Smokers, a gang of fossil-fuel worshipping thugs bent on consuming whatever materials they can find. Their leader is The Deacon (Dennis Hopper), who, between his climate change denial, narcissism and desire to build a golf course, feels strangely relevant to the current moment. The Smokers lay waste to the atoll, forcing Helen and Enola to escape with The Mariner on his trimaran. The Mariner is not keen to have them, but circumstances compel him to reluctantly take their side. Pitting gas guzzlers against renewables on a planet mankind has ruined, Waterworld is not subtle in its message, but neither does it labour the point. Once the situation has been established, it gets on with the business of being a 1990s action movie: chases, explosions, lots of guns and a tacked-on, unsatisfactory love story. Although he left during the film’s difficult editing process, Kevin Reynolds directed the whole even more difficult production, and it is stunning to look at and often exciting. CGI was still in its infancy, so most of what you see was actually constructed. It doesn’t necessarily feel ‘real’ (the costumes are too flatteringly form-fitting, the technology too functional), but life on the open ocean is convincingly precarious. Even by his standards, Costner is unusually grumpy and weather-beaten, yet still commands the screen. Tripplehorn and Majorino are both better than their under-written roles deserve. Hopper is great fun (if not particularly threatening) as the villain. There’s no way to justify Waterworld costing what it did, but at least the money was spent on a production that works on its own terms. Yes it’s a blatant rip-off of Mad Max 2, but the switch from sand to water ups the stakes so dramatically, and creates such an arrestingly different visual palate, that it has its own (stubborn, prickly) identity. 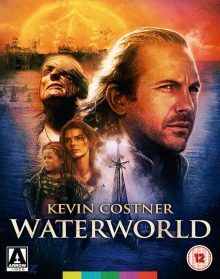 On its theatrical release, Waterworld ran 2 hours 15 minutes but, like so many Costner movies, it was written and shot to be longer. After its moderately successful theatrical run, a three-hour version popped up on American television. This was not a director’s cut (although it features material Reynolds would like to have retained), and featured numerous trims for profanity and violence. Brilliantly, a fan (known online as McFly89) took it upon himself to create an ‘ultimate cut’ splicing together the new footage (with extra swearing taken from a Spanish TV transmission) into the uncensored original. This was released unofficially online, but was tricky to get and of inconsistent visual quality. Somehow, Arrow has cleared the rights to release a polished, professional assembly of this ‘Ulysses Cut’. Even for casual fans of Waterworld (or any student of Hollywood editing), it is required viewing, although it’s not so straightforward as to say this is the definitive version. Many things are improved: the relationships between the main characters have more space to develop, and several plot holes are filled. You also get a much fuller sense of life on the atoll, and aboard the smokers’ ship, but these scenes don’t always work. The new information can be fun, but it also slows the pace, and when Waterworld slows, you really start to notice how silly it all is. 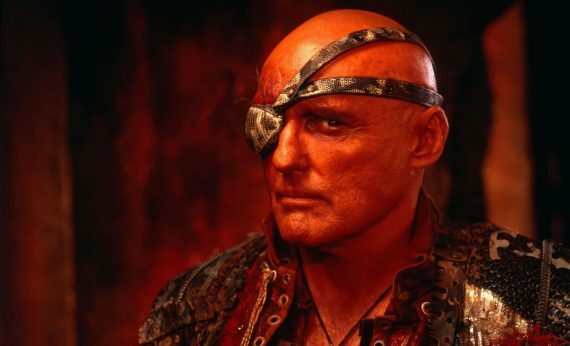 Arrow present Waterworld on three Blu-Ray discs, each featuring a different cut of the film. All look fantastic: bright and detailed and colourful and sharp. For the TV and Ulysses versions, there are some moments of grainier, slightly washed-out footage, not many. Much of the restored material looks great. Filled with gunfire and explosions, and blessed with James Newton Howard’s stirring, swashbuckling score, the film is also an impressive workout for speakers. All remaining extras are on the disc with the theatrical cut. 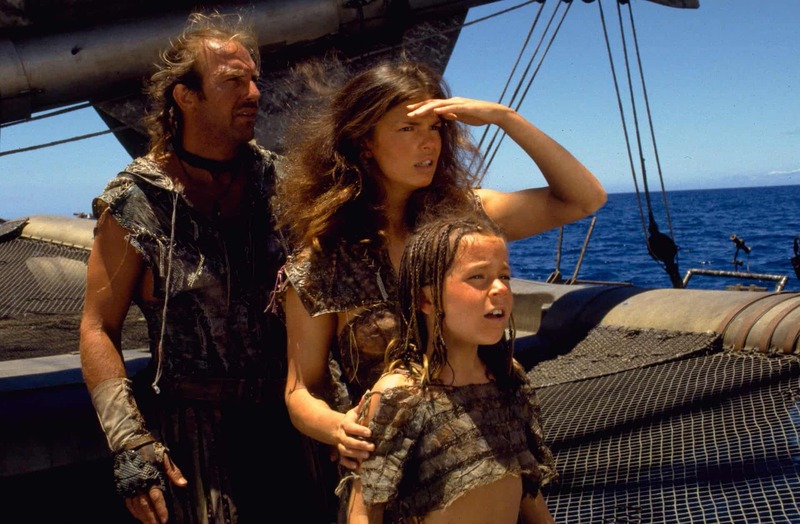 The best is a feature-length documentary titled Maelstrom: the Odyssey of Waterworld. Most of the key behind the camera players are interviewed including writers, producers and, crucially, director Kevin Reynolds. All have had time to consider their experiences on the film, and the result is a detailed, fascinating account of the production’s highs and lows. It will certainly make you think twice about filming an action movie on the open ocean. Sadly, Costner does not participate and Tripplehorn is only present in archival interviews. Also included is a much more upbeat, short promotional documentary titled Dances with Waves. If nothing else, the title hints at what Universal hoped they were getting. Critic Glenn Kenny presents a thoughtful 20-minute discussion on the history of ‘end of the world films’. It can be a bit scattershot at times, but always interesting. Finally, there’s an impressive array of promotional and production images as well as TV spots and trailers. There’s no mention on any of the discs about how the alternate cuts were produced, although this information may be in the 60-page accompanying booklet (which wasn’t provided for review). Discs two and three of the set are a limited edition, so if you want to see the Ulysses cut in all its high definition glory, it’s worth buying early.